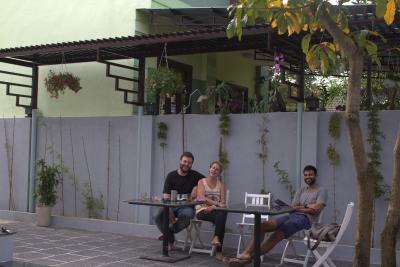 Lock in a great price for Blue Clouds Homestay – rated 9.6 by recent guests! The host is very helpful. Arranging taxi to and from the airport, bicycles, local info. It was more than I expected and I was satisfied. The rooms were clean and spacious with great AC! Also, the owners were extremely helpful and kind!! 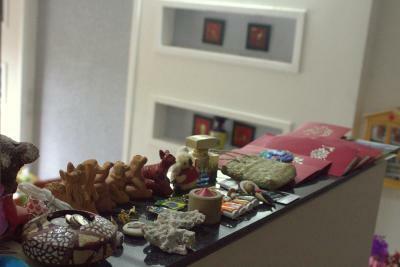 It was a very clean room, the owner was very nice and helpful. You could walk everywhere but it's still far from the noise. 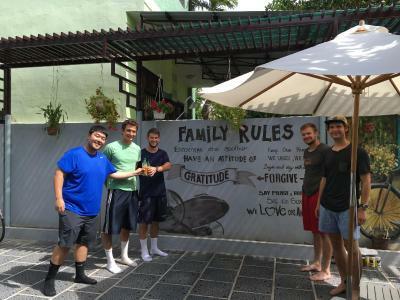 My homestay was very clean and my hosts was very friendly. The breakfast was made to order and the coffee slow drip, which made me sit, relax and anticipate its flavor. I was there during rainy season and on the second morning was forced to evacuate as the water was rising. The owner calmly knocked on my door to tell me of the situation then while they moved furniture to the higher floors, the hostess set out my coffee, the slow drip, for a treat before a walk in thigh deep water to a more accessible location. I was wrapped in plastic and escorted by the owner's son, fully supported and directed along the thirty minute walk to higher streets. They were amazing hosts! The location is great. Close to the old city. The owner was very kind. He explained me everything. 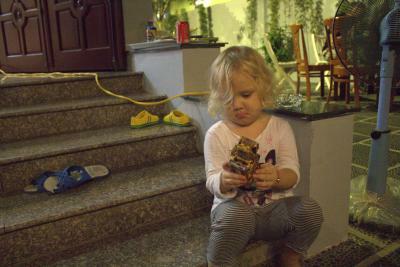 I have rented there a motorbike and visited Danang, Ba ba hills and my son. 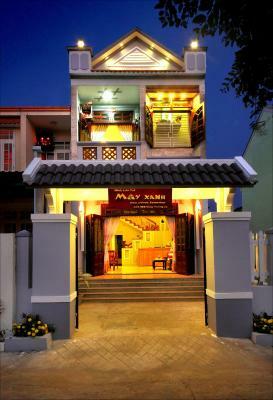 When I will come next time to Vietnam I will stay in Hoi An. I had very nice time there. Very friendly owner who goes that ‘extra mile’ to ensure you have a comfortable and enjoyable stay. 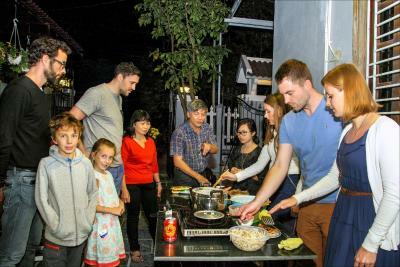 Blue Clouds Homestay also represents excellent value for money. The staff is really nice they are flexible for breakfast time and they let us use the bicycle for free which is really convenient. There is a balcony on the room, a good wifi and a good ac. Great location, close to the old town but far enough away to have a good nights sleep - it was very quiet and peaceful! The staff were also so lovely and had a very calming nature. 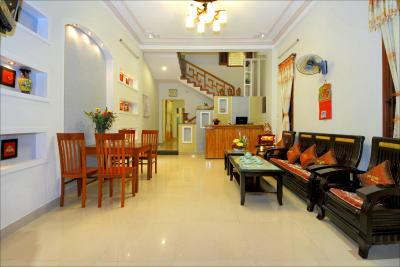 Located in Hoi An, Blue Clouds Homestay is 1,950 feet from Cam Pho Temple and just steps from local food stalls. 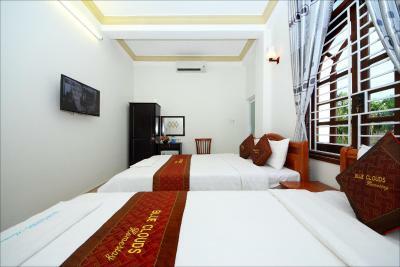 It offers free private parking, and rooms with complimentary Wi-Fi access. The property is 2.6 mi from Cua Dai Beach and 14 mi from Da Nang International Airport. 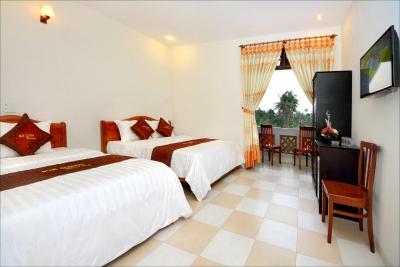 Rooms feature air conditioning and a flat-screen TV with cable channels. 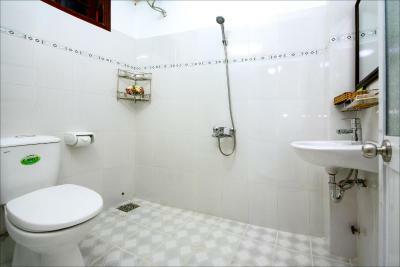 The private bathroom offers shower facilities, toiletries and a hairdryer. 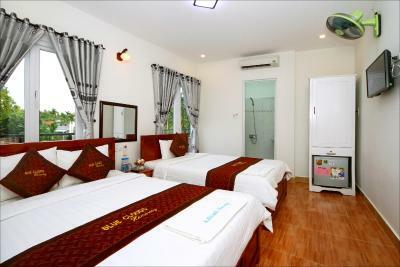 At Blue Clouds Homestay you will find a tour desk and a 24-hour front desk. Guests can use the shared kitchen or relax in the common lounge. Bicycle rental, luggage storage and laundry services are available. 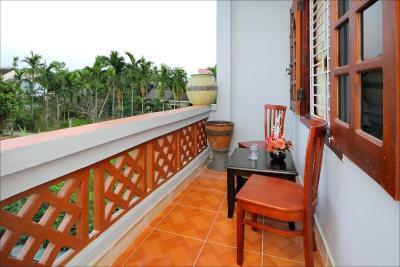 뀐 Located in the top-rated area in Hoi An, this property has an excellent location score of 9.4! 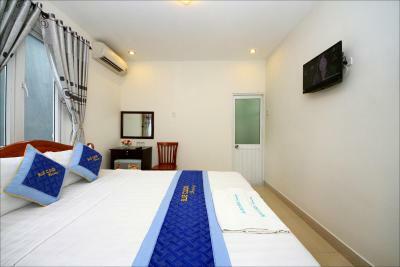 When would you like to stay at Blue Clouds Homestay? Rooms come with a balcony. Offering a view of the lush garden through windows, these rooms feature air conditioning and a flat-screen TV with cable channels. 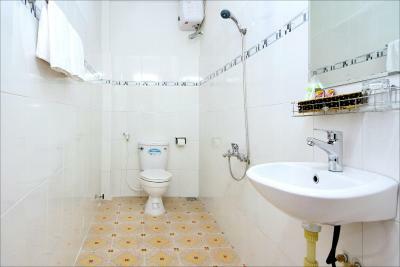 The private bathroom offers shower facilities, toiletries and a hairdryer. 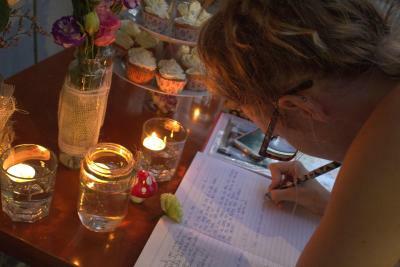 House Rules Blue Clouds Homestay takes special requests – add in the next step! All children under 16 years are charged VND 58314.53 per night for extra beds. 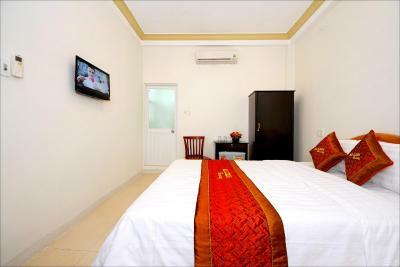 Any additional older children or adults are charged VND 69977.43 per night for extra beds. Blue Clouds Homestay accepts these cards and reserves the right to temporarily hold an amount prior to arrival. Please inform Blue Clouds Homestay of your expected arrival time in advance. You can use the Special Requests box when booking, or contact the property directly using the contact details in your confirmation. 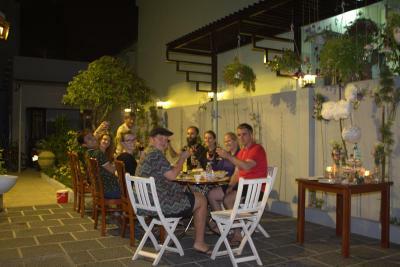 Since the Homestay is such excellent value for those travellers looking for low cost friendly local accommodation there really isn’t much that can be improved on. Not very social while I was there. Did not meet any other guests. 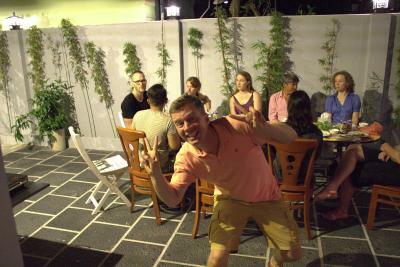 Wonderful homestay with very friendly, humorous and hospitable hosts. Having spent Tet there, we were even invited to a good glass of wine to celebrate the new year and were served the traditional sticky rice cake for breakfast. 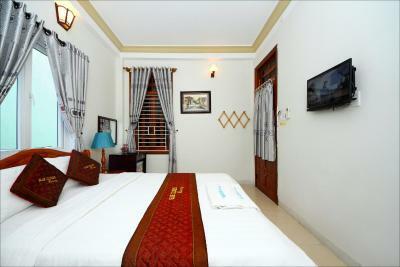 The room was very clean and well-maintained. The bed was very big and comfortable. Breakfast was very good and you can choose from a good variety of food and drinks. 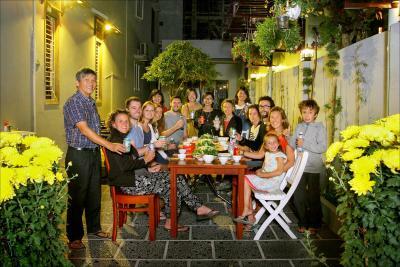 The homestay is well located, close to the center, but in a quiet sub-alley. There is a lovely terrace and bikes that you can use for free to explore the surroundings. Very welcoming place! Very friendly and helpful staff/owner! Wonderful stay here. the host really goes out of his way to help make your stay as comfortable as possible. Breakfast was disappointing. Ordered bun bo hue and then a member of staff left on a bike and appeared to come back with it 10 mins later. It was also cold and pretty tasteless. If you’re doing this and not making it then I think customers should be told this. Big comfy beds, hot shower, check in and check out really smooth and staff were so friendly and helpful. 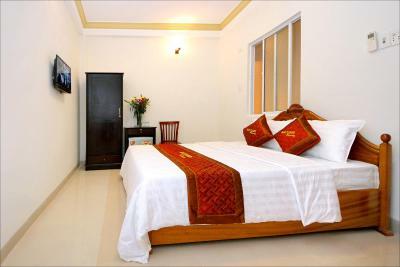 Rooms very clean and excellent value for money. Welcome drink on arrival and city map were nice touches. 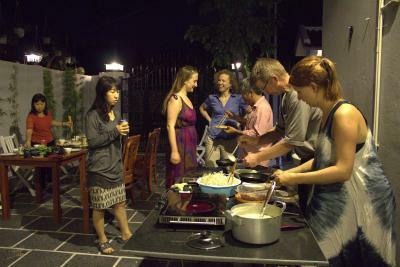 The host is amazing friendly and will inform you about waht to do in Hoi An and you will feel like home. Great place to stay. 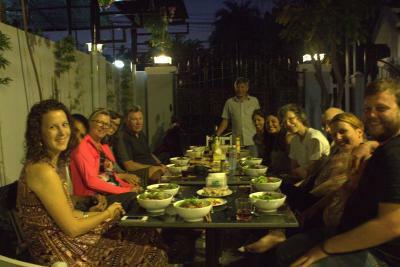 The owner is very friendly and helped us a lot in planning our activities. Also excellent breakfast! Really sympathical and thoughful staff. Good advices, free bikes to enjoy the city, really good breakfast. Best hotel we had since we are in Vietnam! We strongly recommand! The shower is between the sink and the toilet. After a shower the floor is wet everywhere in the bathroom. 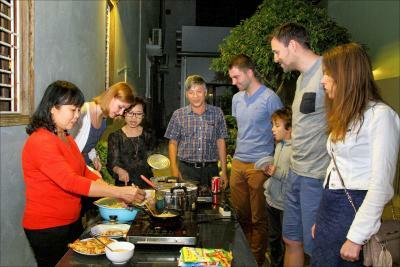 But it was ok, as it is a homestay. 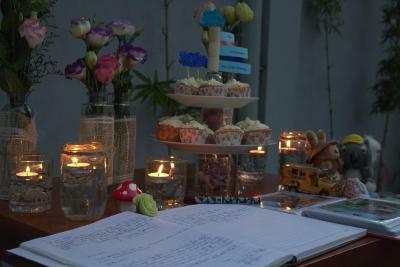 The hosts were really nice. They gave advice to us about what to eat and see in Hoi An and which prices to expect if you want to buy something in the market . 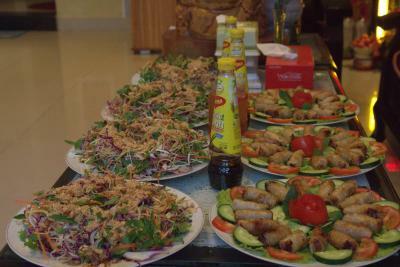 Moreover, they booked for us a tour to My Son and a bus ride to Hue for a reasonable price. The breakfast they offered was really delicious. They also offered us free bikes to ride to the beach. 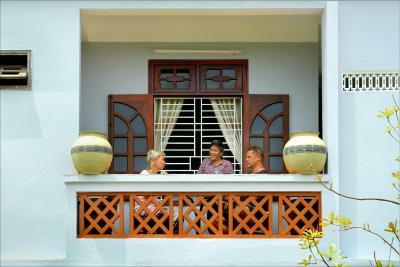 The homestay is only 10 min walking time away from the ancient town of Hoi An. So no need to take a taxi at all.